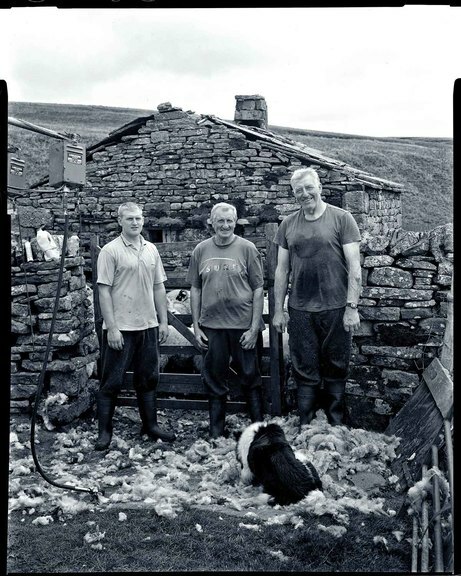 Yorkshire Dales farmers star of the show in rural exhibition "Voices From The Land"
Farmers and their families from the Yorkshire Dales will be in the limelight from this month thanks to a 12-month exhibition reflecting life in the iconic region. Danusia Osiowy finds out more. Farmers living and working in the Yorkshire Dales will be at the heart of a unique exhibition about farming in the region. Helped by a team of 12 volunteers and three students from Leeds University, Kendal-based writer Harriet Fraser and photographer Rob Fraser have spent the past year creating the Voices From The Land exhibition, recording 27 farmers, their work and finding out about their ideas and personalities. The farmers have shared their views on everything from the changes in climate, the perfect Swaledale tup, future uncertainty and the art of mole trapping. The interviews and photographs will now feature at the Dales Countryside Museum, Hawes, opening today and running to next February. Featuring photos, listening stations and feature-length articles on each farmer based on the interviews, all the materials gathered during the project will be archived at the Dales Countryside Museum and Leeds University. 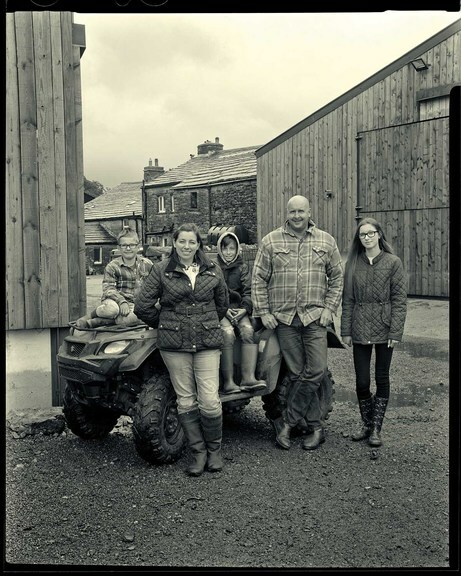 Supported by grants from the Heritage Lottery Fund and the Yorkshire Dales National Park Authority’s Sustainable Development Fund, the project is being run by the Farmer Network, a not-for-profit organisation developed to help, support and guide farmers. When John Bland and wife Steph decided to move from Derbyshire to Thwaite Bridge Farm, they had a desire to continue the area’s reputation for producing reputable Swaledale sheep. On a farm like this, which has all its land enclosed, it is common for the departing tenants to take their flock with them so when John arrived in 2013, he introduced his own. Embracing the community, he began showing sheep so people could get to know them. The farm has about 160 hectares (400 acres) of land, going from 240-365 metres (800-1,200 feet) above sea level. John has about 400 breeding Swaledale ewes, the management of which he learned by helping his father and grandfather while growing up. He began to breed Swaledales in his own right in his late 20s and while Steph does not come from a farming family, she does have a love of animals. She says: “When I was 18, John was the boy next door and we started going out. My family were from the middle of Manchester originally; engineers. I had no farming connections, no idea at all. John and Steph have three children: Madeline, 13; Louis, 11; and six-year-old George, all of who have some sheep to look after. The two boys are keener to continue than Madeline, who Steph describes as her ‘right-hand girl’ with an aptitude for helping out around the house and at lambing. Lambing is John’s favourite time of year. When it comes to selling Swaledales, it’s the tups which bring in the most money, so producing top quality tups is the ultimate end point. “All Swaledale breeders will have so many of what you class as your best families, and you tend to find your best tups come out of them,” says John. There’s a challenge, John says, to farming sustainably, in a way which suits the land and brings in sufficient income. He says: “If you’re completely production-led, everyone would leave the hills and go where it’s easier farming. At the end of the day, we’ve all got families to raise and you have to make sure the sons are keen enough to keep farming in the hills. John reflects on the wider context of the Yorkshire Dales where they welcome tourists into their holiday let. “People like the Dales as all the walls are up. They like to see the field barns, they like to see the nice green fields and the contrast between the green fields and the moorland. This is what they are coming to the Yorkshire Dales for. While uncertainty post Brexit remains the biggest challenge, John turns his attention back to his sheep and those who have won prizes. Walk into Raymond Calvert’s house and there’s a cold wind blowing. In the warmth of the kitchen, Raymond recalls how the farm has been in his family for 100 years, with his father and grandfather both farming here. Raymond now runs the family business with his brother Chris and son Andrew, having amalgamated farms gradually over the last 25 years. The farms have about 222 hectares (550 acres) of in-bye land for pastures and grazing during lambing and tupping time, but most of the grazing land is on Birkdale Common, where five other graziers also have rights. Altogether, the Calverts look after about 1,820ha (4,500 acres) of grazing, with some areas rising from 356-680 metres (1,200-2,238 feet). “There are 10 separate hefts on the moor. Certain hefts go with certain areas which sheep become familiar with and tend to stay in. Ewes teach their lambs the heft, and it is passed on from generation to generation and can be reinforced, or reintroduced, by dedicated shepherding. Sheep on unfenced common land, on the whole, keep to their hefts and a farmer will know where to look for them at different times of year. Raymond can’t remember a time when he was not interested, and showed a keenness for Swaledale sheep from an early age. The Calverts are well known for their flock of pedigree Swaledales and it is a matter of pride when their tups and ewes win prizes at shows and sales. Of all the prizes, an award at Tan Hill Show is the most sought after. Raymond has been secretary of Tan Hill Show for 30 years and Raymond’s son Andrew returned from the show this year with one of the top prizes.